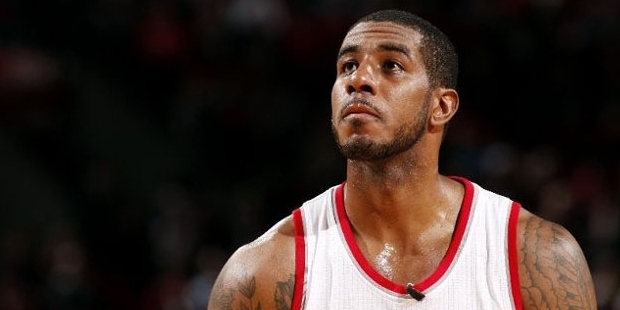 LaMarcus Aldridge is an American basketball player currently playing for San Antonio Spurs, NBA. 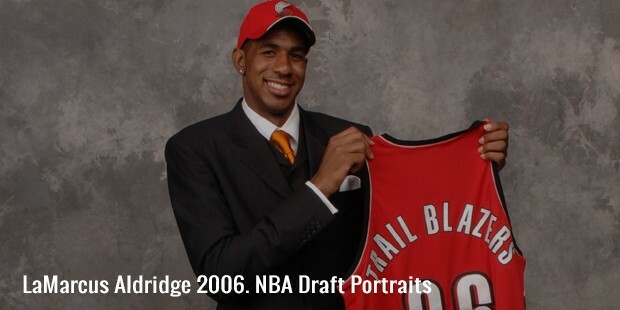 Earlier, he played college basketball at University of Texas, and then selected as a 2nd overall for NBA Draft in 2006. 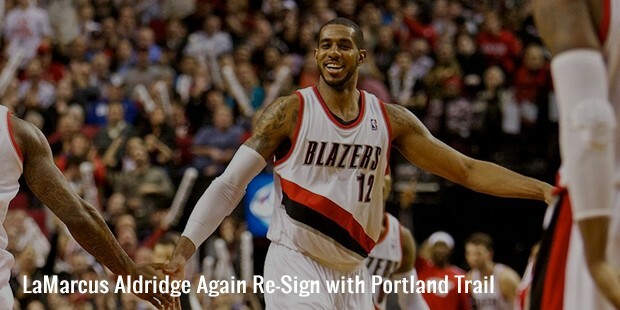 He played for Portland Trail Blazers for 9 seasons, and then signed with Spurs in the year 2015. He is a 4-time NBA All-Star, and selected to 3 All-NBA teams. His mother Georgia is 6.2 ft tall and father Marvin is 6.6ft himself. His father had a drinking problem, and his mother kicked him out of the house by the time LaMarcus was a teenager. At Seagoville High School, LaMarcus became the 2nd team Parade All-American and TABC Class 4A Player of the year. In 2004, he was selected as number 4 center and number 16 player of the nation. In 2006, he left the University of Texas, and entered NBA Draft. 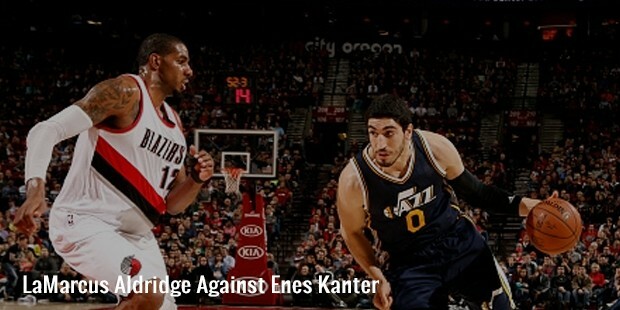 He the joined Portland Trail Blazers, and got a starting center position. 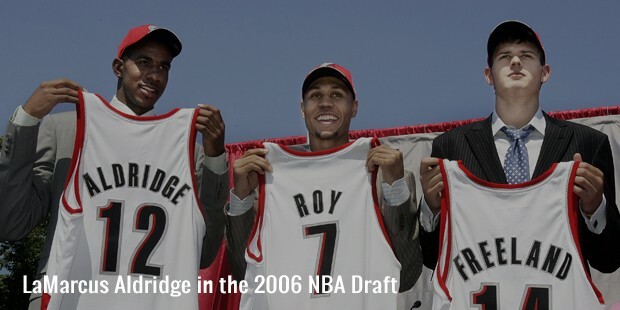 When Brandon Roy moved out due to knee problem in 2010, he excelled as a player as well as a leader for his team. In 2012, he was selected as a reserve for Western Conference All-Star team. In July 2015, he signed a 4-year contract with San Antonio Spurs worth $80 million. Although he is a great player, MaMarcus had to face health related problems many a times. In 2007, he was admitted in the Providence Hospital, Portland, for irregular heartbeat and shortness of breath. Diagnosed with Wolff-Parkinson-White syndrome, he had to miss 8 games of 2006-7 season. Later, he encountered injury problems due to plantar fasciitis, which again forced him to miss games in December 2007. In 2011-2012, he again underwent a surgery to correct his heart related complications. 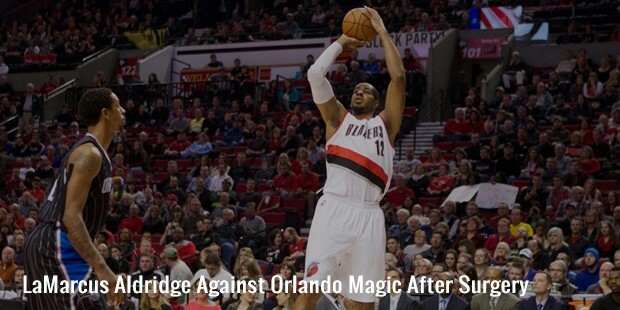 In 2014 during a game against Spurs, he suffered from a lower back contusion, and ended up missing next 7 games. In January 2015, he tore radial collateral ligament of his left thumb, and had to move out for 6 to 8 weeks. Despite his challenging health, he became NBA All-Star in 2012, 13, 14 and 15, All-NBA 2nd Team in 2015, and All-NBA 3rd Team in 2011 and 2014. He became NBA All-Rookie First Team in 2007, and Western Conference Player of the Week for 8 times from January 2011 to December 2014. He was also selected as the Western Conference Player of the Month in February 2011. 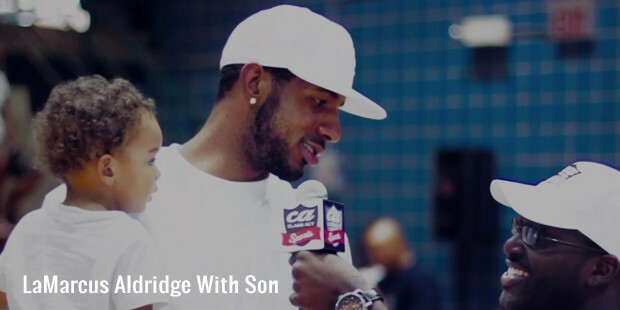 Aldridge has 2 sons, Jaylen Lea Aldridge and LaMarcus Jr. Marlon Hairstonis his cousin, who is a mid-fielder in Colorado Rapids. The incredible ability of LaMarcus Aldridge has made him one of the most respected and praised basketball players of NBA. His drive and focus makes him a true inspiration for basketball fans and aspiring athletes.